This greenfield site is located between Purton Road to the south and the Swindon-Cheltenham railway line to the north. Originally the site was classified as ‘countryside’ in the North Wiltshire Plan 2011. However, the adopted Wiltshire and Swindon Structure Plan 2016 states that 1,000 new homes are needed and should be built to the west of Swindon. Of this number only 200 have been provided elsewhere in the area. Strategic Land and Planning had secured an option agreement for the site in 1999, which we later extended up to 2015. We believed that the site would be suitable for the remaining 800 homes that the Wiltshire and Swindon Structure Plan said were needed. Our planning strategy for the site included extensive community engagement. We held several consultation events, allowing local people to view our proposals and provide us with feedback. We listened carefully to their comments and, as a result, made several significant changes to our proposals, such as reducing the number of homes to 700. We submitted our outline planning application in the winter of 2010. After extensive negotiations, the application was put through a planning appeal in March 2012. The Secretary of State reported in the autumn of 2012 and granted planning consent for a 700 home development, of which 210 will be designated as affordable homes, with a primary school. 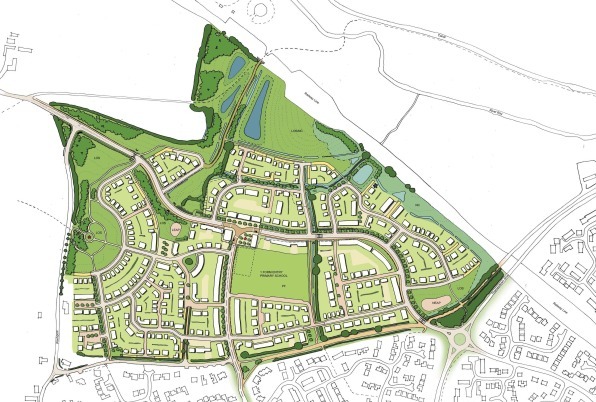 Full planning consent is now in place for Phase 1 (218 homes) and Phase 2 (422 homes) of the Ridgeway Farm development, as well as a new primary school, which opened in September 2016. Approximately 340 homes were occupied as of September 2016.